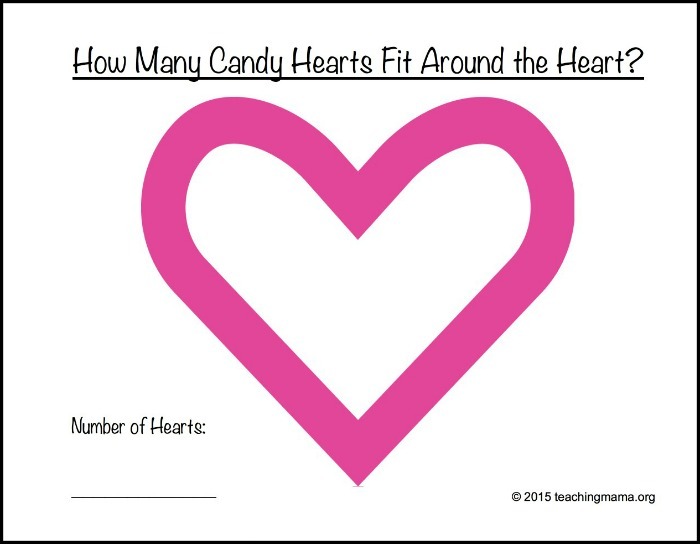 Valentine’s Day is just around the corner, so today I’m sharing candy heart math printables to use with preschoolers. 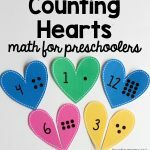 First, there’s practice with counting and number sense. 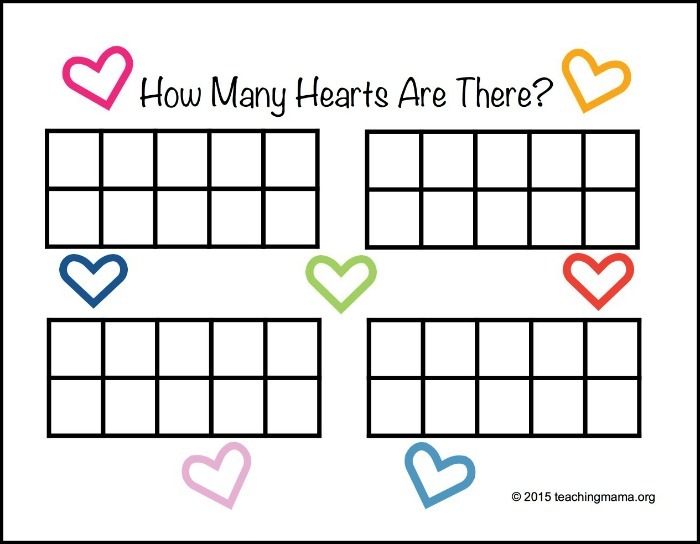 Just have the child place the candy hearts in the ten-frames. 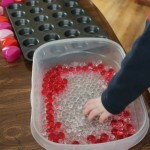 The purpose of this activity is for kids to visualize quantities and develop number sense. 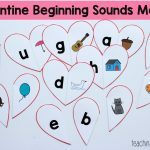 By grouping them by tens,it helps the child understand what ten of something looks like. 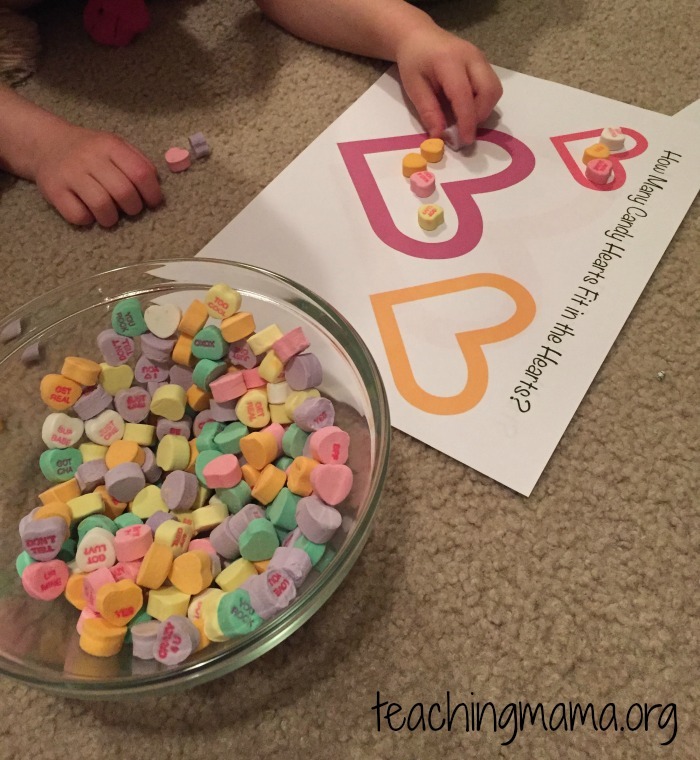 Then have your child fill candy hearts INSIDE of the hearts on the page. Have the child make a guess before filling them in. 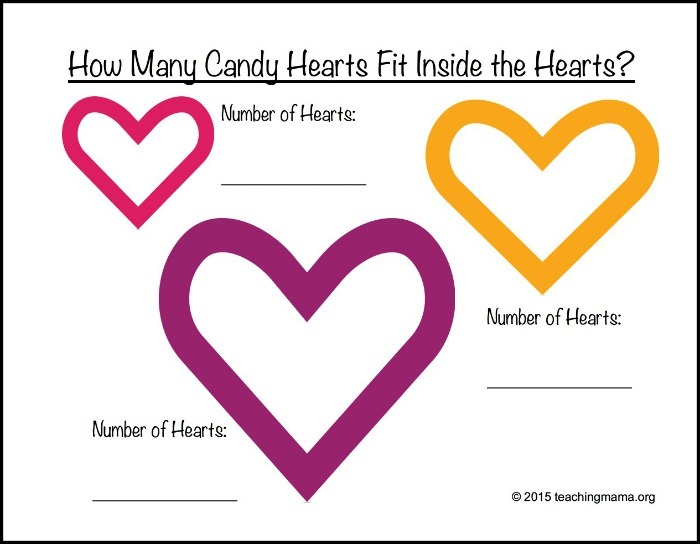 Next, have them place candy hearts AROUND the heart and count how many there are. Before doing the activity, have the child estimate. You could even make a pattern around the heart. 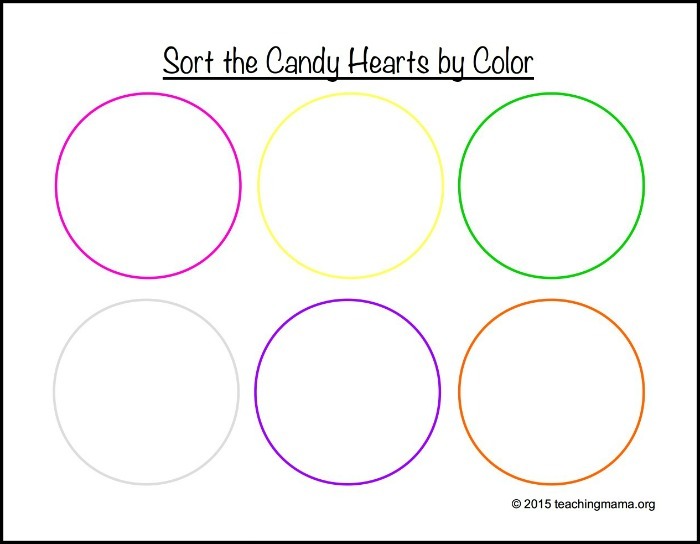 Sort candy hearts by color on this sorting mat. 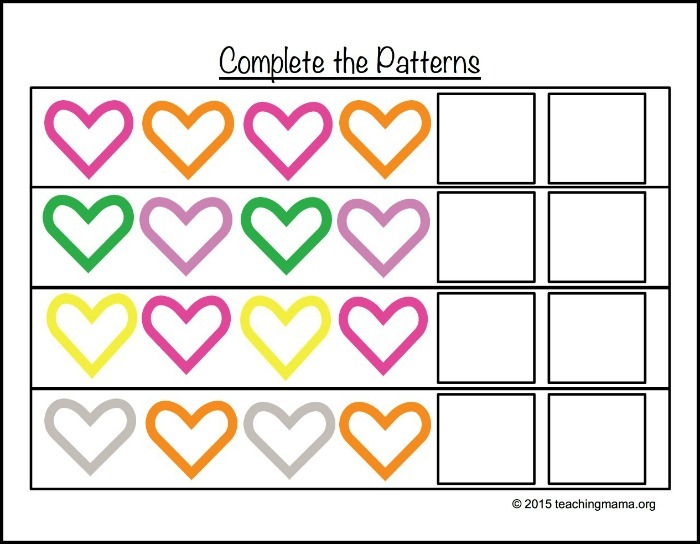 In the printable packet, I also included this mat with just black circles in case you have other colors to sort. After sorting, graph them by color. 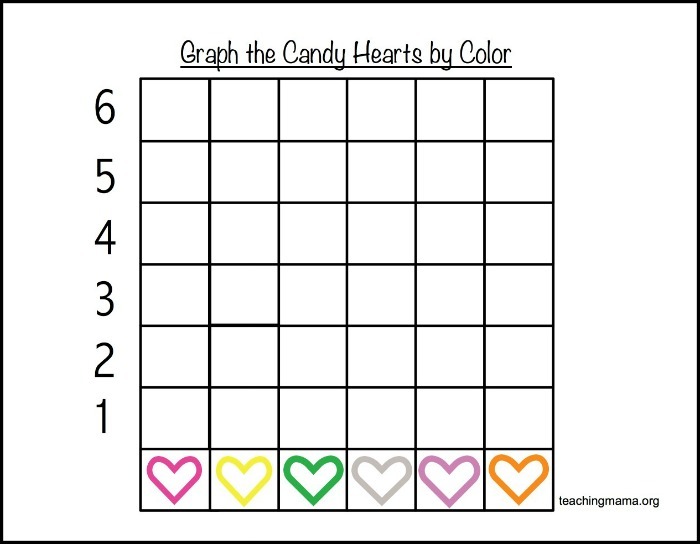 I also included a blank graph in the packet for you to use different colors. Lastly, complete the color patterns. We had a lot of fun doing this math activity at home. I hope you’ll try them out this year!! 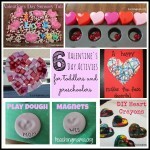 Before you go, I want to share 1 more fun activity you can do with candy hearts. 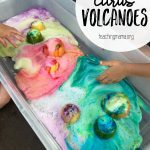 It’s more of a science activity, but it’s so fun I need to share it with you! It’s called Dancing Candy Hearts! Just add and you can watch candy hearts dance around the container. It entertained us for a long time! Even Dad thought it was pretty neat! 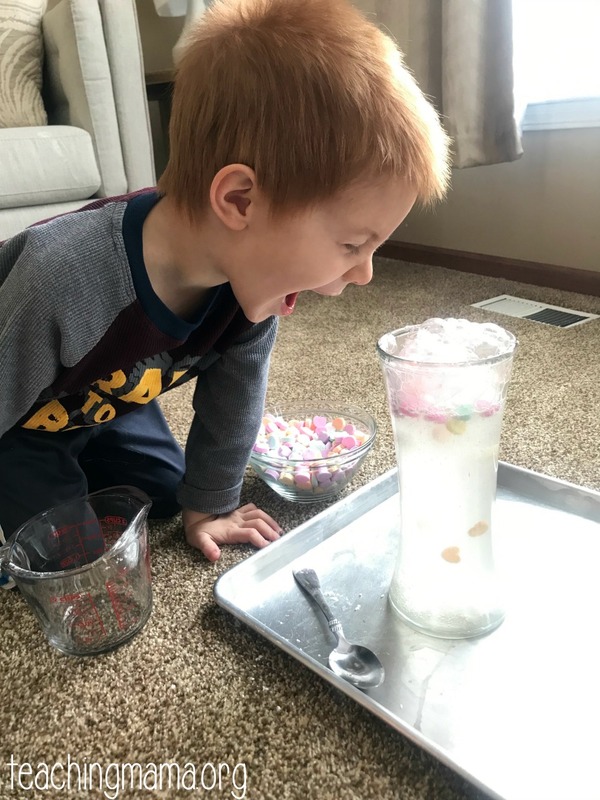 To do this experiment, simply mix 1 tablespoon of baking soda with 2 cups of water. Place in a jar or vase. Drop in a few candy hearts. Then slowly pour in 1/2 cup of vinegar. 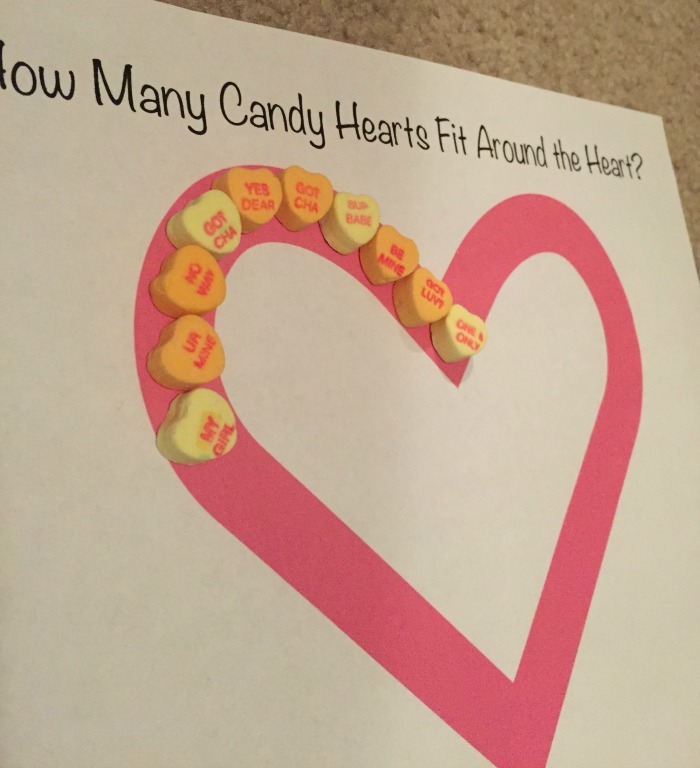 In a minute or two, you’ll see the candy hearts start moving up and down! If they don’t move, give the mixture a gentle stir. Here’s a video of the experiment. 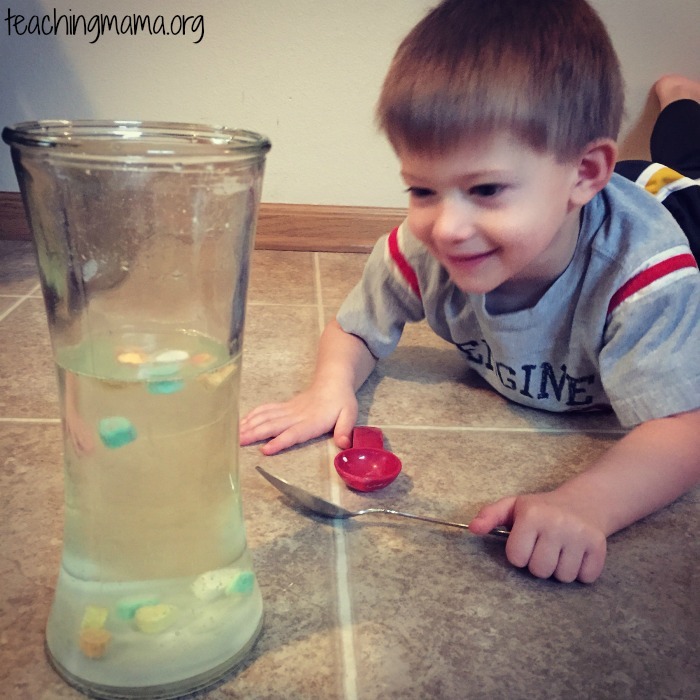 I’ve done this experiment with all three of my boys and each time they love it! 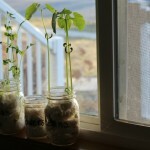 Germination Activity – Grow Seeds in a Jar! 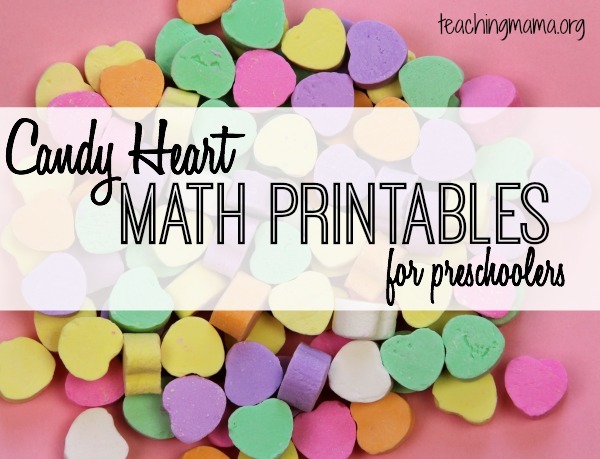 Candy and math, what’s not to love? A lot of good math skills covered here. 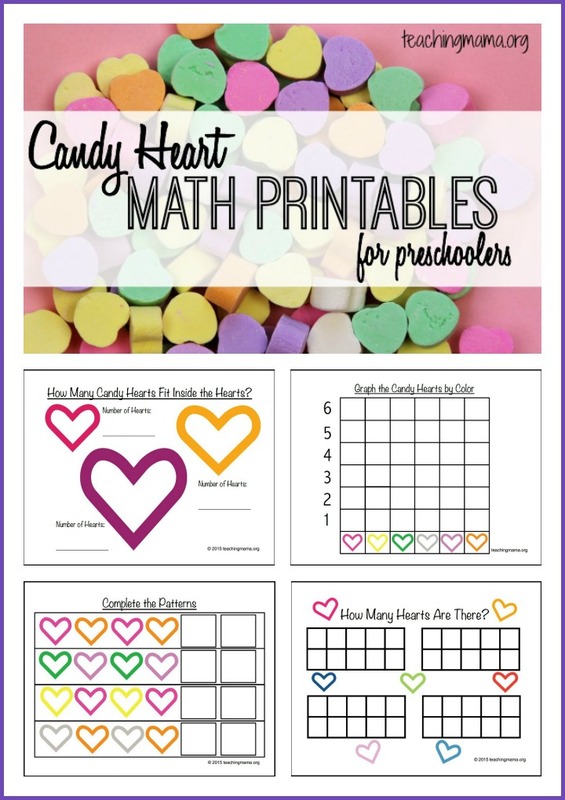 I love these math printables. Besides being beautiful, they are perfect for the kids to “play” while learning about math principles. Thanks for sharing these. I really appreciate it. Thank you so much! I’m using these with my little guy today. Perfect!